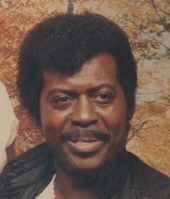 Celebrating the life of Robert W. Henning, Jr.
Obituary for Robert W. Henning, Jr.
PEORIA – Robert Henning, Jr., 83, of Peoria, died at 6:24 a.m. on Jan. 22, 2019, at Rosewood Care Center of Peoria. Robert was born on July 5, 1935, in Ripley, TN to Robert W., Sr., and Sarah (Loveless) Henning. He married Geraldine Guyton, and they were married for 50 years, she survives. Also surviving are his children, Sherry Henning of Peoria, Robert W. Henning, III of Villa Park, IL, and Kevin “Shorty” Little of Peoria; two grandchildren, Tempest Henning and Taryn Henning; two great-grandchildren, Adalynne Henning-Sparks and Rebekah Henning-Felder; two sisters, JoElla Harris of Peoria, and Ella Mae McGregor of Memphis, TN; one niece, Deborah Rias of Peoria; two nephews, Michael and Rodney Harris, both of Cleveland, OH; one great-great-nephew, Kahlil Rias; and a host of cousins. He was preceded in death by his parents; a grandson, Robert W. Henning, IV; and a sister, Alberta Harris; and a great-nephew, Ashanti Rias. After graduating from Peoria Central, he joined the U.S. Army. He went on to work for the original Big John’s Barbeque, he was a salesman for Rossetter Ford, and he retired as a foreman for Federal Warehouse, where he worked for 25 years and earned the nickname, Super Bob. Robert was a very active man, he was a gold glove champion boxer, he played tenor saxophone in his band. Cremation rites will be accorded. A memorial service will be held at 11:15 am on Saturday, January 26, 2019, at The Wilton Mortuary in Peoria with Rev. Alphonso Lyons officiating. A visitation will be held from 10:30 to 11:15 am at the mortuary prior to the service. Memorial donations may be made to Mt. Zion Baptist Church. The family would like to thank the staff at Rosewood Care Center of Peoria for their excellence and compassion in their care for Robert. "Email Address" would like to share the life celebration of Robert W. Henning, Jr.. Click on the "link" to go to share a favorite memory or leave a condolence message for the family.